MelbourneGreek had the most liked content! finally a good descision made by the EPO. What greece has lacked for years is a manager which has had passion for the job. Skibbe and Ranieri before him had no heart for the outcomes of the squad. the best thing for the ethniki is to have a greek manager, creates a better culture within the squad and the manager has a desire for their team to win, as its for their homeland. I would hope with a new, greek manager we will start emploring basic tactics, like playing players in their actual positions, something Skibbe found extremely difficult as well as communicating with Holebas to get him back in the team. our performances can only improve because of this. I agree on the possible appointment of Ange, solely based on South Melbourne FC, thats real football for you But on all fronts, ange transformerd the Australian soccer national team to become competitive with strong teams. The Enthniki have talent, its about identifying tactics, play styles and formations that will unearth this talent, i fully support the appointment of ange on that front. i would suspect he would want to play for us, given it is unlikely he would ever break the german NT due to them having two of the best keepers in the world. he is a young talent playing for a well-regarded club in regards to player development, would be a great player for the NT. would like to see him, donis, retsos, kourbelis, pelkas, being the mould for the NT into the future. our attack should be Mitro Pelkas -- Fortounis --- Donis, But we all know Skibbe wont roll out like this, And im not certain if Pelkas can play out wide, has he played there before ?? 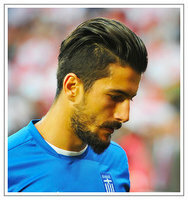 karnezis has not been in form as of late. His stint at Watford was sup-par and now with the transfer to Napoli, it looks as if he will be third in the pecking order under meret and ospina. Vlacho has been in good form in the league and is young too. wouldnt mind him getting some playing time during the Nations League. should be an interesting game for the NT. Good to see Skibbe start playing some of the youngesters performing in U21 and domestic leagues, albeit leaving some young talent out. 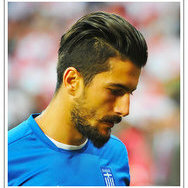 Also, it looks like he is moving away from his reliance to some of the older, one sided players like Samaris etc. And i would like to see the side without the defence of Papa and Manolas because we really do have some good depth there. Fourtounis has been stuck in the Greek league for a few seasons now. It would be good for him to test himself in a more prominent european league where he can get exposed to a different style of football. He has talent, just needs to find consistency in his game. He should get game time over Lazaros, Fetfa has provided exiting football in SA, still deserves a game during the friendlies. Our team will only grow if learn to become less dependent on the ageing likes of Tzolis and one-dimensional players like Tachstidis.